2018 To Voice (40 min) dance theatre on location with amateurs performers. A collaboration with De Gasten/ Elike Roover & Rutger Esaias and a co-production with Bos Theatre Amsterdam. Footnotes (for Crippled Symmetry) (75 min) performance-essay. A collaboration with artist Krijn de Koning (NL) and composer Tom Parkinson (UK). Production of NeverLike in co- production with Pumpenhaus Münster & FFT (Düsseldrof). Otherland (13 min) dance film. A collaboration with director Jan-Pieter Tuinstra (NL). produced by Blackframe. support by NTR & Mediafund NL. Up Side Down Video dance, performance installation for children age 4+. A collaboration with choreographer Dalija Acin Thelander in co-production with De Stitle (NL), Weld (SW), Art Station (PL), Station Service for Contemporary Dance (SR) and NeverLike (NL). 2012 To Band Music dance (12 performers / 60 min) a collaboration with musician Tom Parkinson. Premiere: Festival a/d Werf Festival, Utrecht NL WINNER OF DIORAPHTE DANCE AWARD 2013, DUTCH DANCE DAYS FESTIVAL. 2009 Moving Right (quintet / 35 min) commission Bodhi Project / SEAD dance academy Salzburg, Austria. 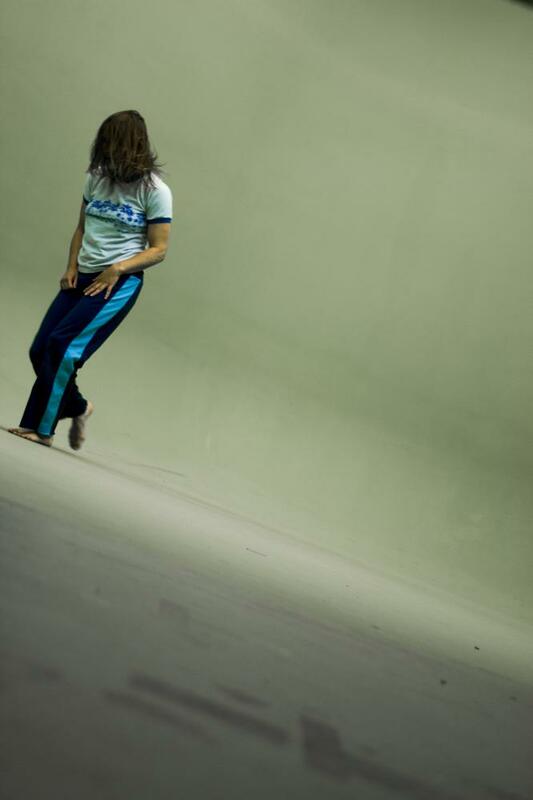 Big Mouth (trio / 40 min) in collaboration with Niv Sheinfeld and Oren Laor Dance Projects IL. Premier: November 30th, "Curtain Up" Festival Tel Aviv, Israel. 2007 The Prize Piece (quartet/ 60 min ) Commission BNG Prize co-production with Grand Theatre groningen, Dansateliers Rotterdam and Monty Theatre Antwerp. Tour NL by invitation The Dutch Theatre Institute. Couple-Like (duet / 50 min) in collaboration with Ugo Deheas. Co-production Grand Theatre Groningen, Kwaadbloed BE, Dans Werkplaats Amsterdam (DWA). Premiere: Zagreb, Croatia. Flemish Premiere: Vooruit, Gent. Dutch premiere: Something Raw Festival, Amsterdam. 2003 One-Minute-Solo (interdisciplinary research/dance + film + live music) DWA Ostriches (interdisciplinary research/ dance + video) DansAtaliers, Rotterdam. 1999 Commercial Break (trio / 30min) DWA in co-production with Grand Theatre, Groningen NL. theatre on location with amateurs performers. A collaboration with De Gasten/ Elike Roover & Rutger Esaias and a co-production with Bos Theatre Amsterdam.